You are reading this page because either you or your loved one has suffered an injury due to someone else’s negligence. Sustaining a catastrophic injury is a traumatizing experience. Being injured is not in our hand. However, suffering an accident due to another person’s carelessness is not only painful but frustrating too. In this situation, you must hire a personal injury lawyer Orange County who can provide you with all the legal assistance and can help you get the maximum compensation. Through filing a claim for your personal injury, you can be compensated for your physical and mental injury and suffering. Before you make your final call, here are some important things you must know. The personal injury law or Tort law protects you against people or entities who are accountable for causing you physical harm. The purpose of the law is to protect the victim from bearing the cost of medical bills and other expenses caused by the injury caused by another person’s’ negligence. You can get the following past and future compensation for personal injury in Orange County under the law. Schedule A Free Consultation With Our Personal Injury Attorney Now! What comes under Orange County Personal Injury Claims? Not all injuries from accidents fall under the Orange County personal injury claim. Let us say you are playing volleyball and were injured due to no one’s fault. It will not come under Orange County personal injury. So, what injuries come under the Orange County personal injury claims? Here is a list of injury cases, which can be handled by an Orange County, CA personal injury attorney. What the Personal Injury Attorney Orange County CA will prove in Court? Filing the claim is not enough to get the compensation. You need to prove that the defendant was completely or partially responsible for the accident, which caused you injury. What are the limitations of the statute? The law sets a limitation for the statute. It is the time limit within which the plaintiff needs to settle or file the case in court. In case you failed to do so, the court will reject your case. Depending on the cause of the injury, the time limit changes. Here is a basic idea. You have two years of time to settle or file a case in court to prove the negligence of the defendant. You need to contact an Orange County personal injury attorney to know the process. In this case, the plaintiff has one year to settle or file a case. There are important exceptions to this rule and you need to consult an Orange County, CA personal injury attorney for the details. One must know that the liability for the accident may be shared and one may not receive full compensation depending on the comparative fault of plaintiff and defendant. For more details, you must contact a personal injury attorney Orange County CA. Why Should I hire a Personal Injury Attorney Orange County CA? When you are in court, you must either represent yourself or have an attorney represent you. Often due to the injury, it becomes impossible for the victim to fight own case. Court proceedings are also complex and confusing and you need someone who knows the ins and outs of the legal process to effectively win your case. While the case is in progress, the plaintiff needs to submit various pieces of evidence and proofs to win the case. A personal injury lawyer Orange County can help you in the legal process by collecting important evidence to prove the fault of the other party and to get compensation for you. Hiring an Orange County personal injury attorney ensures that you will get justice and fair compensation. Being reputed personal injury attorneys, we are focused on the pursuit of justice and winning your case for you. Our Orange County CA personal injury attorneys work on a contingency fee basis. It means that you won’t have to pay until winning your case. Therefore, if you have suffered an accident, do not think about the payment of the fees. You just need to come and contact us; we will take care of the rest. If we don’t win your case, you don’t owe us any fees. 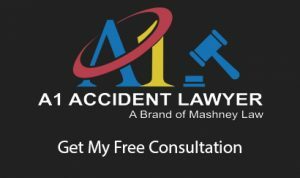 Why choose A1 Accidental Lawyer as Personal Injury Lawyer Orange County? Our winning records speak for us. When we take a case in hand, we don’t settle for just any amount. With more than 25 years of experience in handling personal injury cases in Orange County, CA, we have an excellent success rate. We give our clients the time they need to recover for fighting the legal process. We also take the responsibility to deal with the insurance companies to ensure that you will get the right amount of compensation. To get real help, not hype for your personal injury case, contact A1 Accidental Lawyer, the best Orange County, CA personal injury attorney. Please call our office at (714) 535-5090 to schedule a consultation with one of our attorneys now!” .